Polypropylene - it's our favorite for rowing trou. Durable and hydrophobic (afraid of water) with superb compression, Polypro is the fastest drying, longest-lived fabric we have experienced. These trou are UNISEX; great for men and women! Worn to the mid-thigh, you are guaranteed the distinctive rower's tan line. A few more distinctive properties are: - High Back, reinforced seams, sewn-in elastic w/drawstring. - Double-Seated where it counts--under the sit bones. 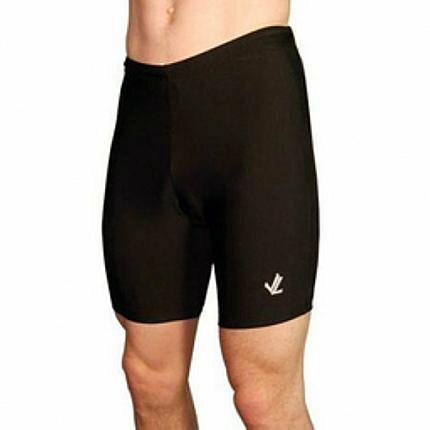 - Engineered Compression keeps leg in place!